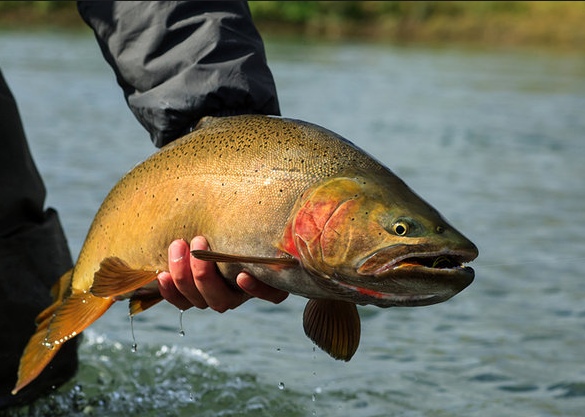 Yellowstone Cutthroat Trout (YCT), Rainbow Trout, and Rainbow x Yellowstone Cutthroat hybrids (hereafter referred to as RHT – Rainbows & hybrids) all contribute to the world class South Fork Snake River fishery. Ideally, YCT and RHT could co-habitat with minimal inter-species competition and hybridization. Unfortunately, YCT and RHT share similar life-history strategies, utilize the same habitat, and compete for the same resources, with RHT exhibiting a competitive advantage in the system. RHT would likely hybridize and out-compete native YCT if left unmanaged in the South Fork Snake River. Since 2004, the Idaho Department of Fish and Game has been managing the South Fork Snake River to protect and promote YCT through a three-prong approach of excluding RHT from critical YCT spawning habitat, and by reducing RHT spawning success through a springtime freshet flow, and reducing abundance of adult RHT through angler harvest. The weir program has been effective at minimizing hybridization during YCT spawning at major tributaries but angler harvest and the spring freshet have been marginally effective at reducing RHT abundances. Recently, RHT abundances have increased exponentially in proportion to YCT abundances and pose a serious threat to the YCT population (Figure 1). 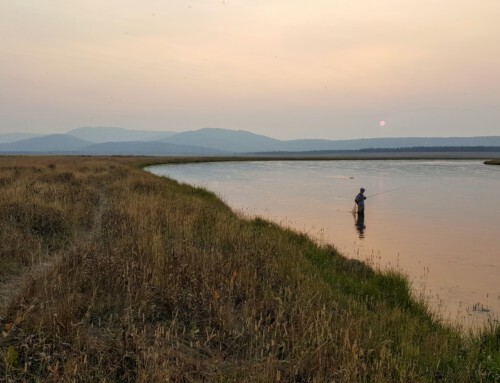 To prevent the potential collapse of the YCT population, IDFG will electrofish RHT when they congregate at redds during the spawning season in 2019, remove them from the South Fork Snake River, and transport them to public lakes and ponds in the Upper Snake River region. The South Fork Initiative recognizes this is not an ideal situation but we fully support the management decision to remove and reduce RHT in order to protect the YCT population. 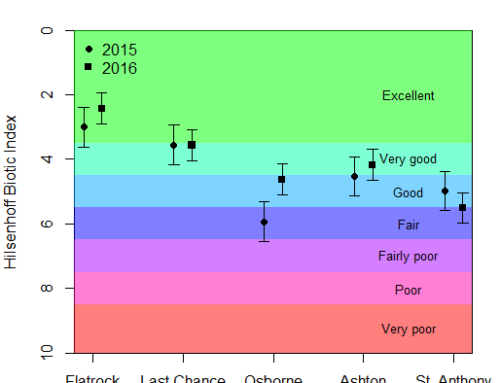 Removing RHT from the system will likely decrease total trout abundances in the short run, but it is expected that increases in YCT abundances will offset the decline in the long run. This hypothesis is founded in the data, and the biology. YCT and RHT regularly occupy the same habitat and utilize the same resources. Removing RHT from the system will make more resources available to YCT and will promote increased YCT survival and recruitment. 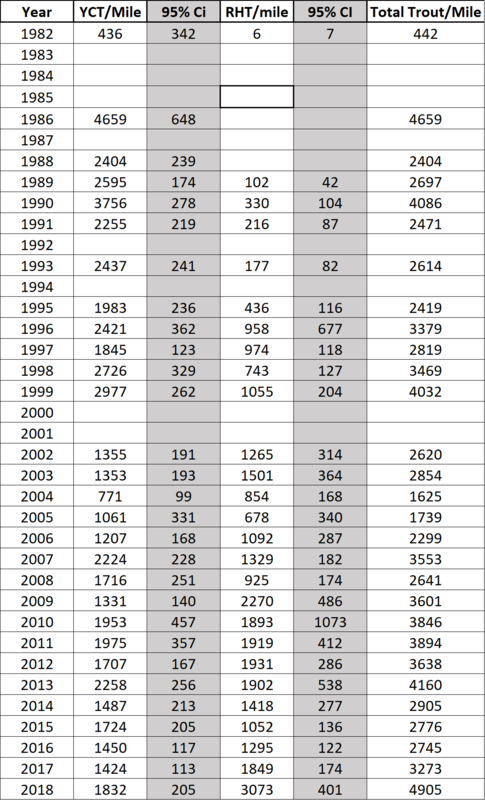 Additionally, 29 years of population data highlight that combined YCT and RHT abundances have remained fairly constant but the proportion of the total population has shifted towards RHT dominating the system (Table 1, bottom of blog). In theory, increasing South Fork Snake River flows >25,000 cfs could still be an effective management strategy to mobilize substrate and dislodge RHT eggs. In practice, flows greater than >25,000 cfs aren’t realistic due to flood control constraints. It is likely that IDFG and BoR will no longer manage the system to mimic a freshet effect because it isn’t feasible to release flows over 25,000 cfs and increasing flows during the spring that don’t exceed 25,000 cfs actually promote RHT recruitment. Hauer, F. R., M. S. Lorang, D. Whited, and P. Matson. 2004. Ecologically Based Systems Management: the Snake River – Palisades Dam to Henrys Fork. 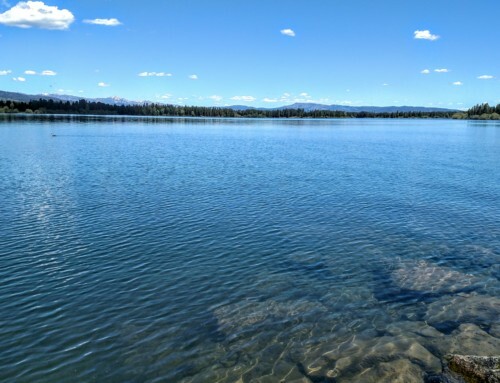 Final Report to U.S Bureau of Reclamation, Boise, Idaho.Flathead Lake Biological Station, Division of Biological Sciences, The University of Montana, Polson, Montana, 133 pp.